Located in a safe community across from Liberty Elementary School. We are located 0.5 miles from Discovery School of the Arts. 2.1 miles from Eagle Ranch Elementary School. 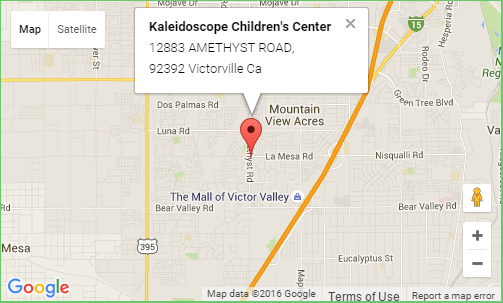 Click the link below the map for driving directions to Kaleidoscope Children’s Center.